The spring season has arrived. For the first time in several years, we’ve been able to play games on our opening weekend in April. There are 23 RSC teams this spring from 8U to 19U. The majority of our teams are playing in MCYSA, with a handful playing in EDP for their league competition. Our 8U teams are doing EDP 5v5 festivals again this spring. It is another busy season for the club, with tryouts around the corner, once again. As usual, the club conducted an anonymous on-line survey toward the end of the fall season. Club leadership spent time over the winter reviewing responses and the specific comments shared. The general overall feedback was positive, except for frustration about RSC’s lack of access to the Freedom turf. Team specific feedback has been shared with the respective team leaders; so any issues can be addressed. There was a lot of work by club leadership over the winter to renegotiate RSC’s access to the two turf fields at Freedom Park. As a result, RSC has turf access early enough this spring to ensure that our youngest age teams will be able to train at least once a week if we hit a stretch of wet weather, again. As usual, you should receive your team’s spring training plan before April is done. Y-Academy spring themes have been posted on the website. Thank you to all those who took the time to respond to the survey; club leadership truly appreciates your feedback! Please keep RSC’s Sponsorship program in mind as a way to support the club. Click HERE to see the details. Please help by sharing information on sponsorship opportunities with any businesses with whom you have a connection. Finally, a big “thank you” goes out to all RSC parent coaches and managers who volunteer so much of their time and talent! RSC teams wouldn’t exist without their efforts. As always, please feel free to contact any RSC Board members with feedback. 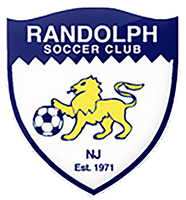 Anyone interested in getting involved in Randolph Soccer Club leadership is welcome to contact a Board Member to learn more. We look forward to seeing everyone on fields this spring!